Super soft tee featuring our latest UpNorth Michigan logo. Our Paddle Pedal Settle logo sums up Michigan outdoors life. A must have for the kayak, biking,or campfire loving person in your life. Unisex fit and crew neck. Item ships directly from UpNorth Michigan by Threads. This uniquely soft t-shirt feels like a well-worn favorite! 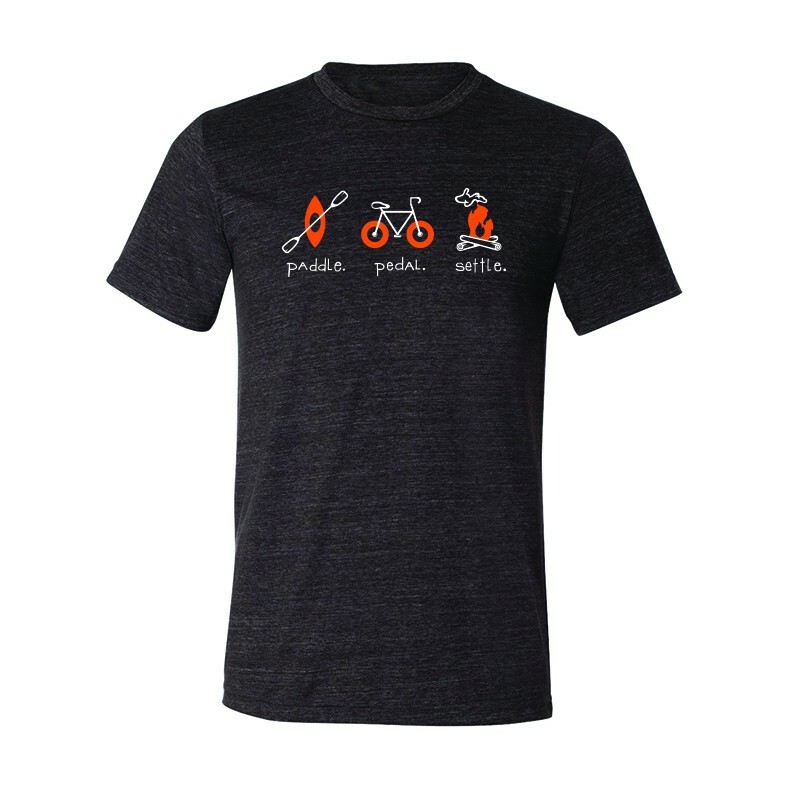 Featuring the Paddle Pedal Settle logo on a charcoal tri-blend color shirt. Adult Sizes Small - XXLarge Classic unisex fit and crew neck. 50% Polyester, 25% Combed and Ringspun Cotton, 25% Rayon.